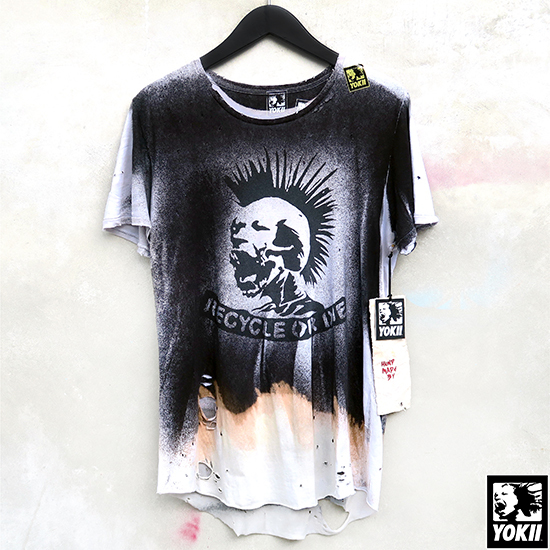 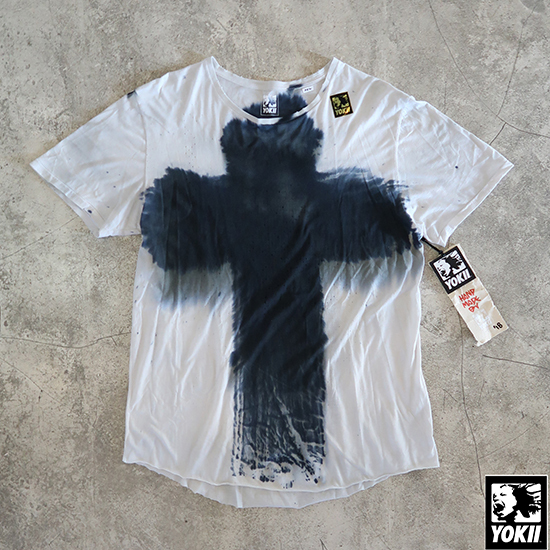 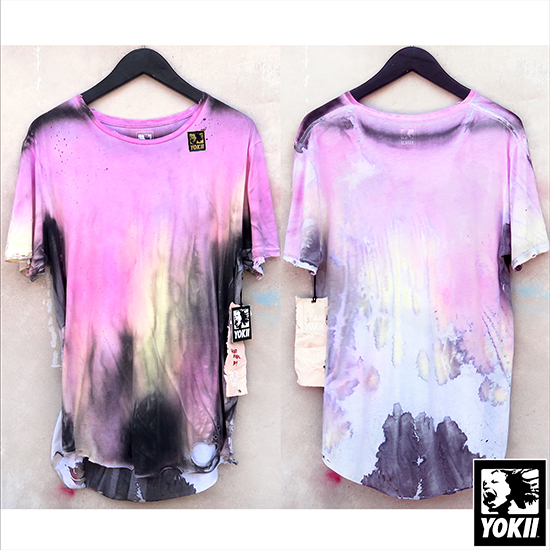 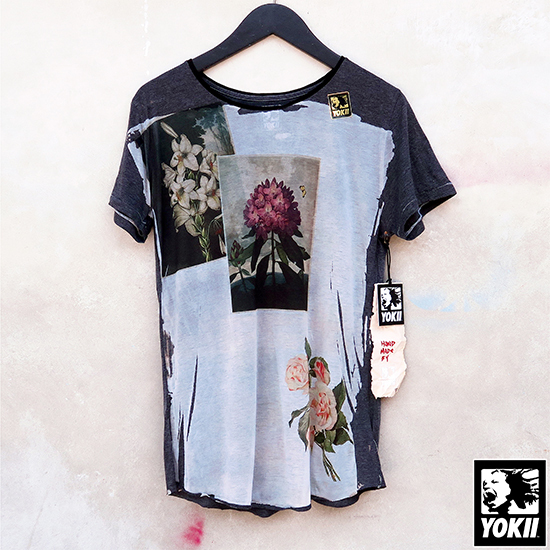 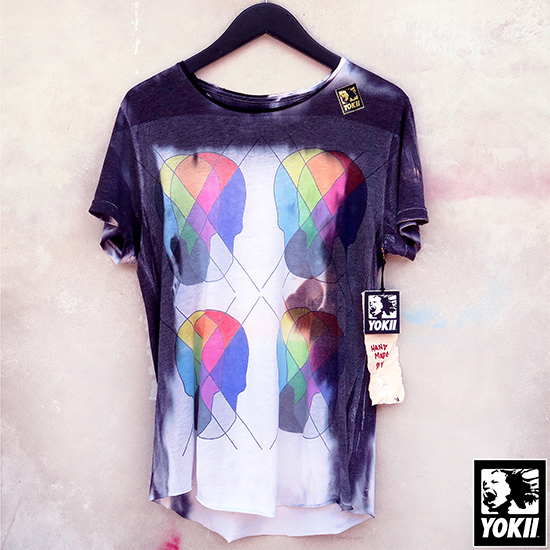 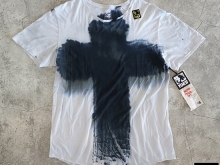 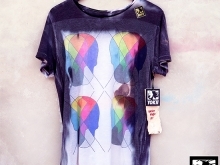 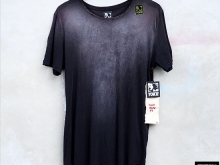 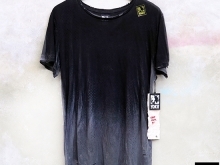 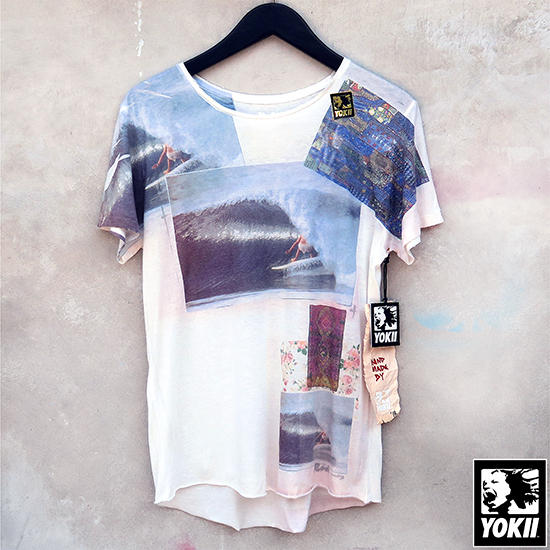 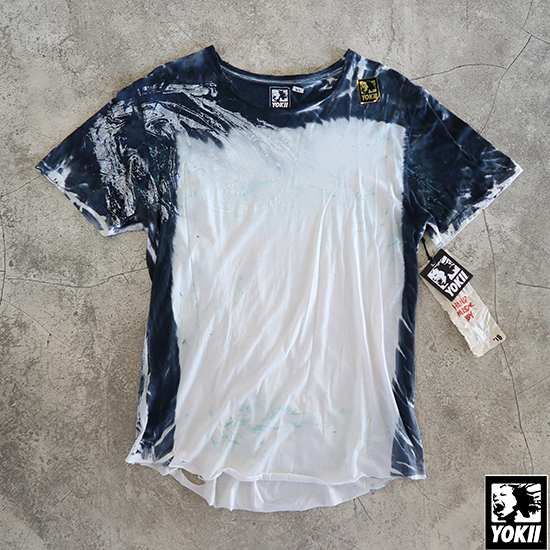 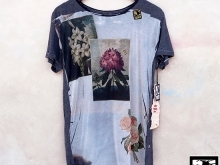 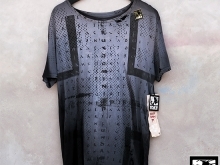 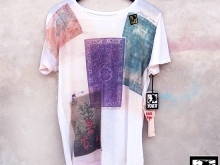 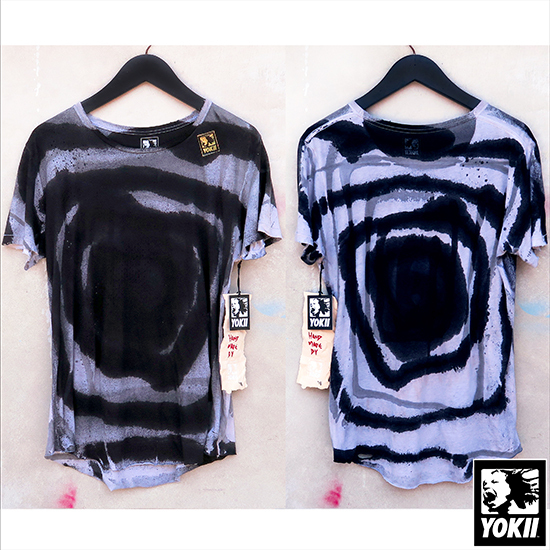 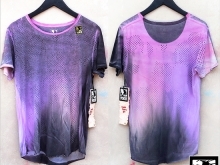 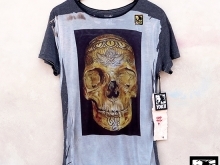 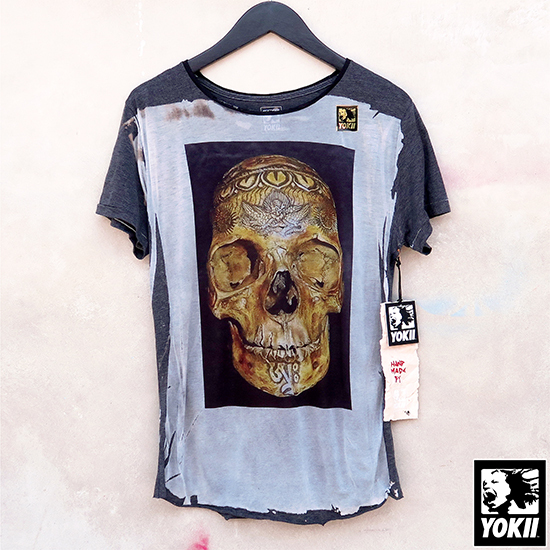 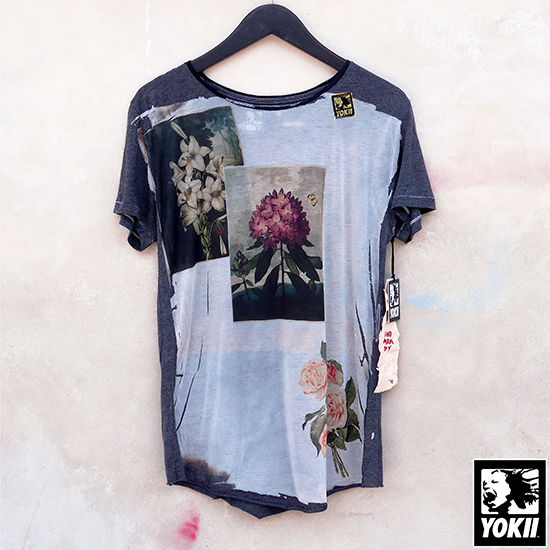 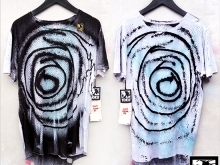 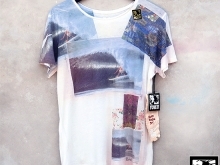 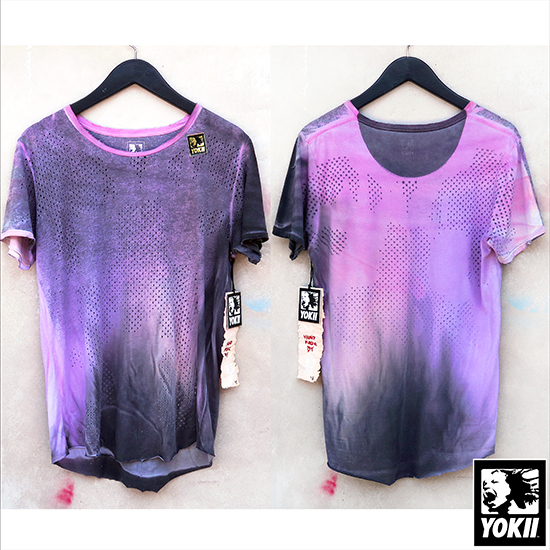 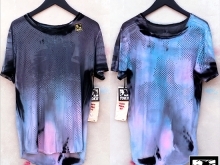 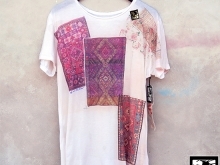 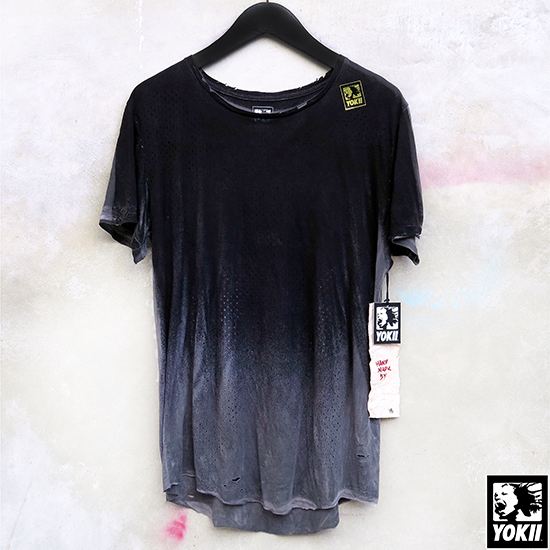 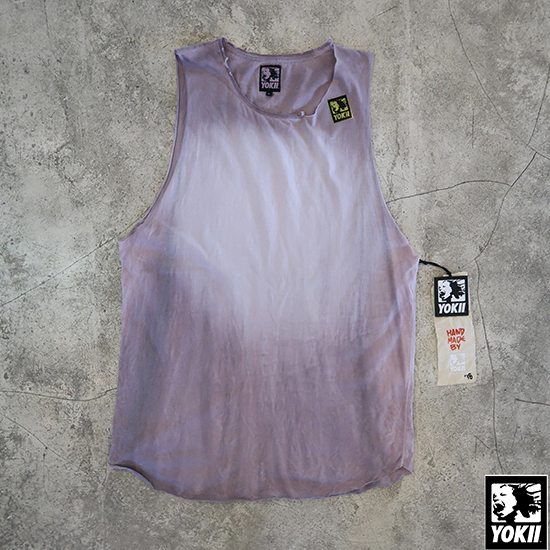 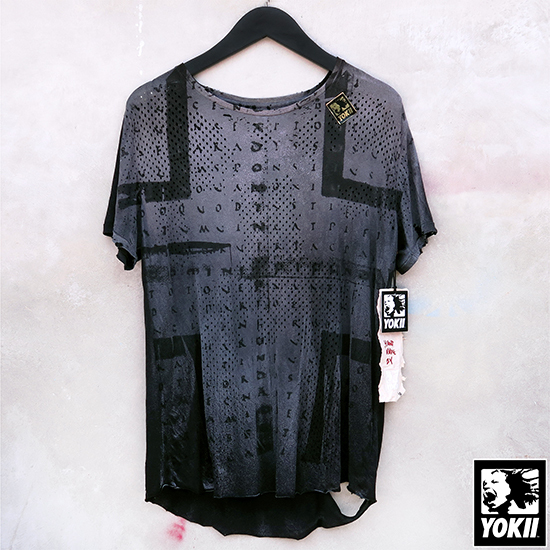 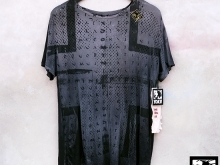 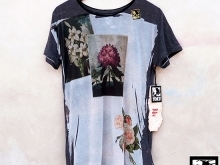 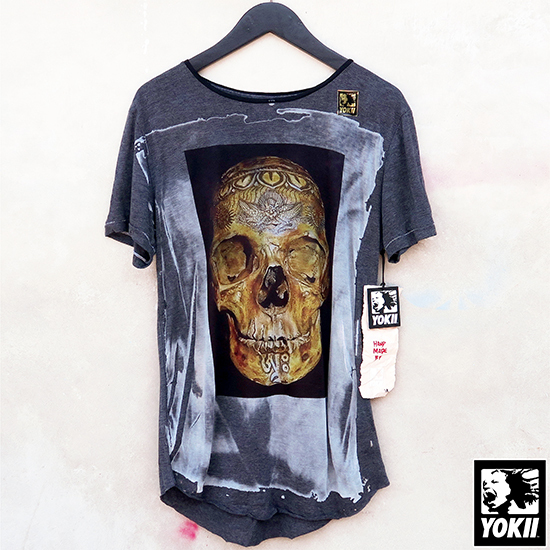 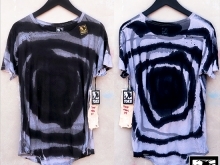 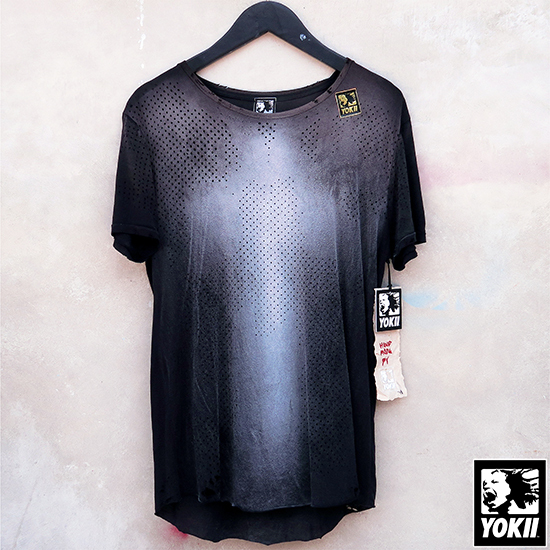 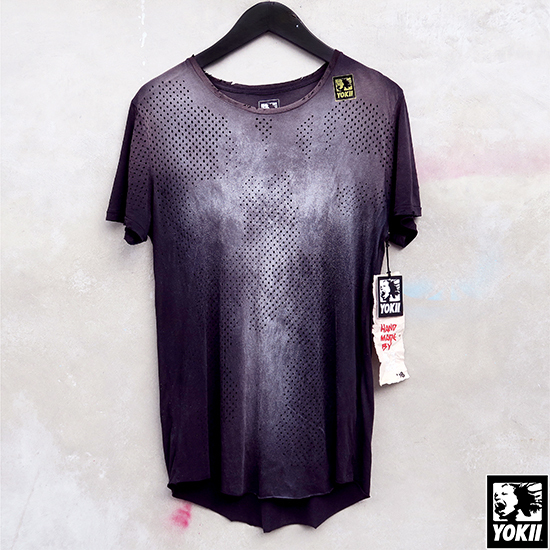 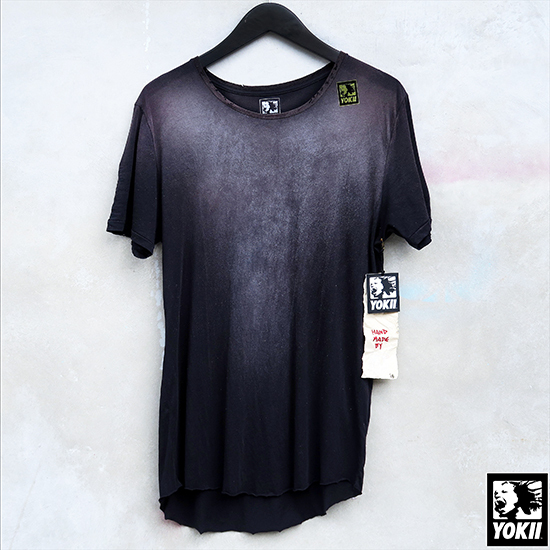 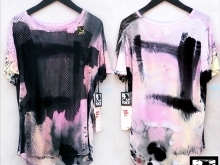 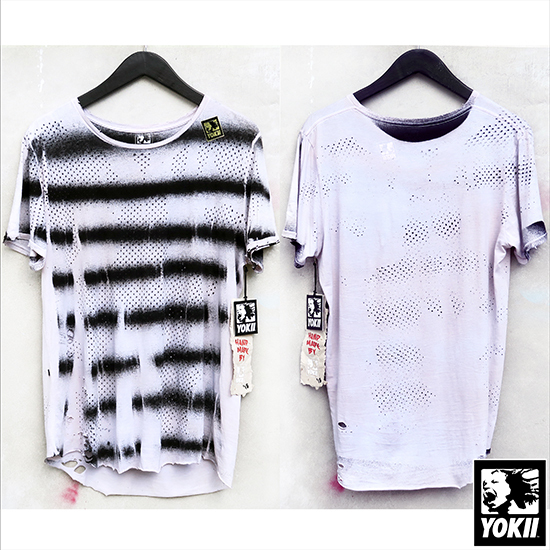 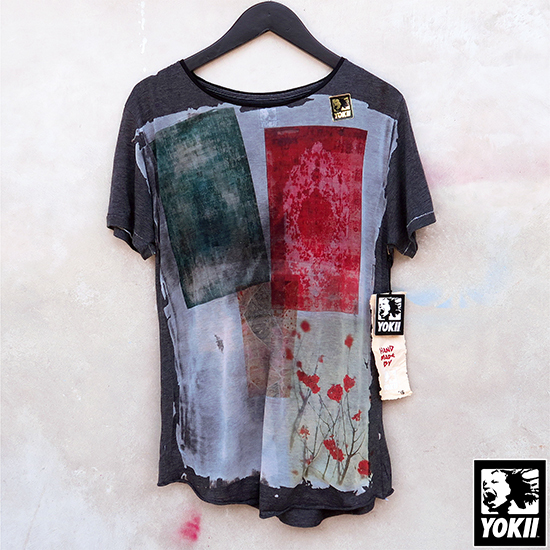 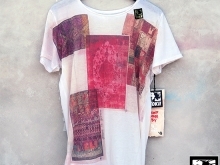 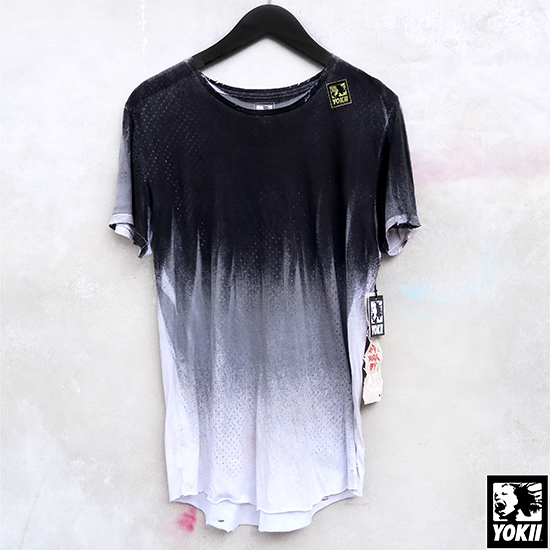 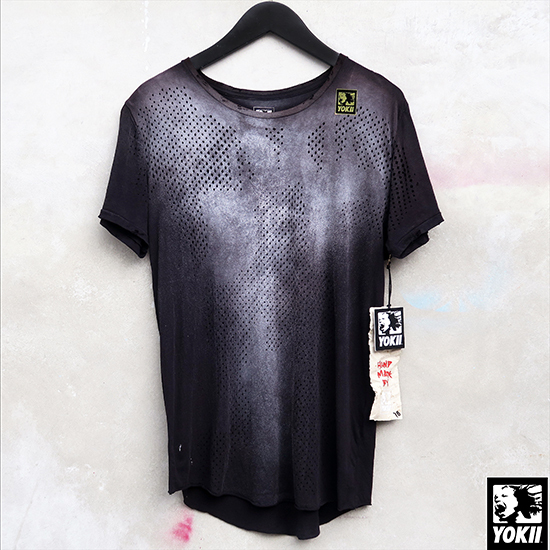 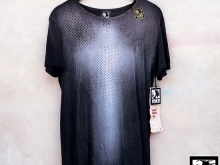 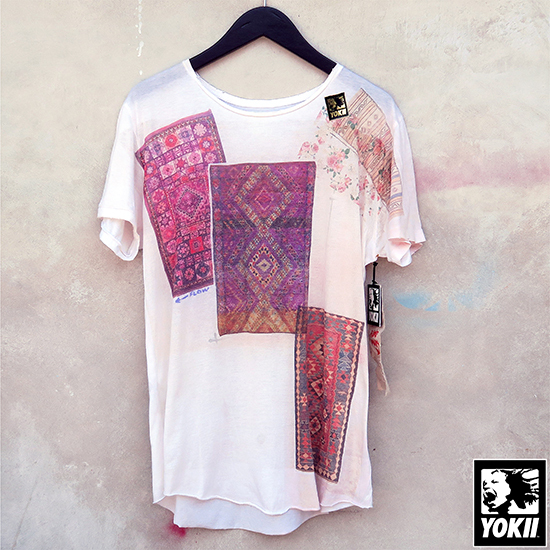 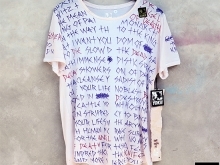 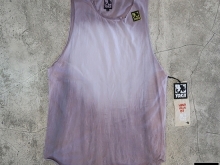 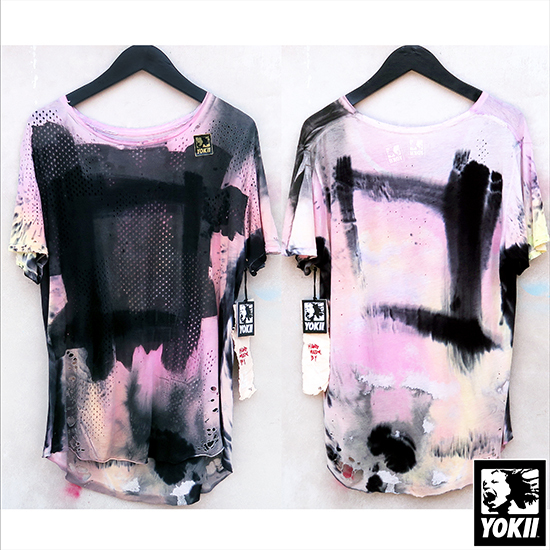 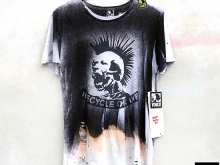 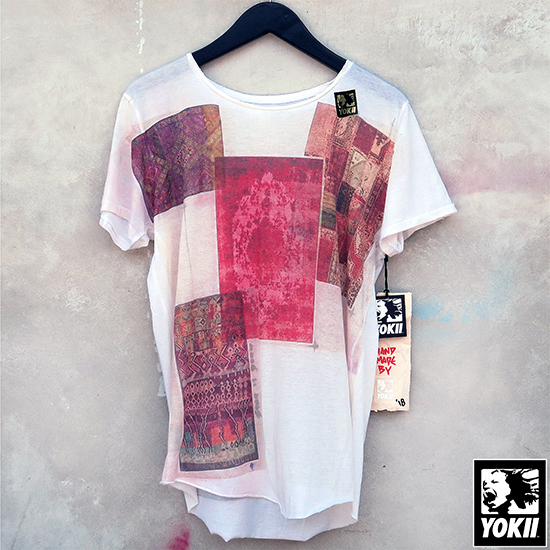 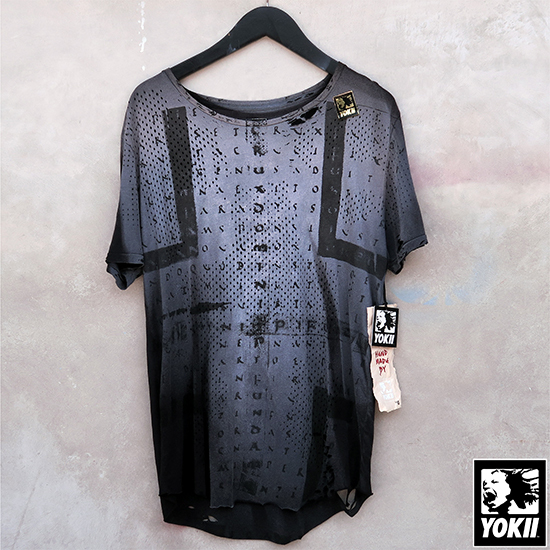 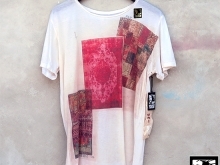 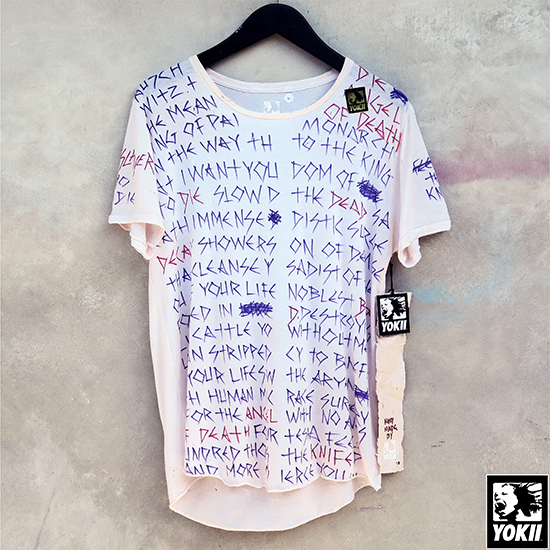 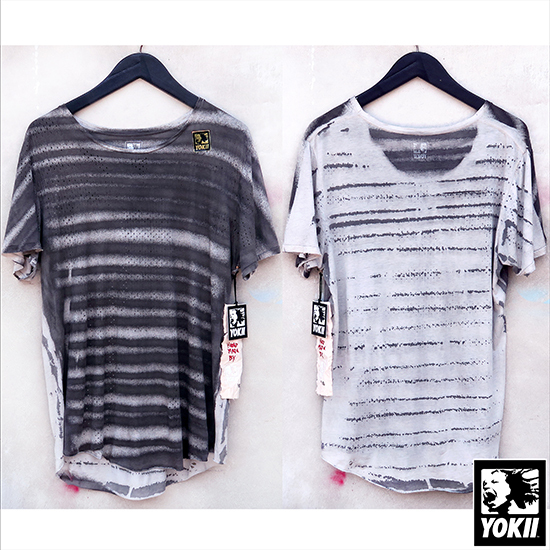 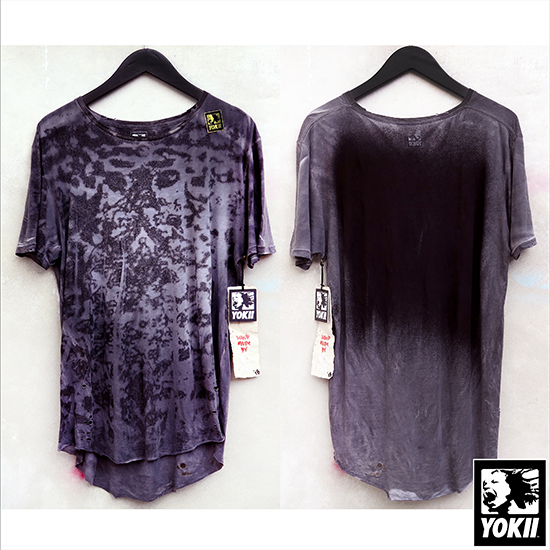 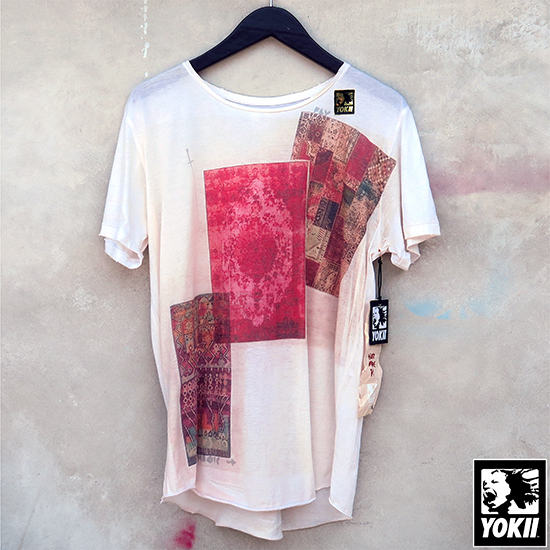 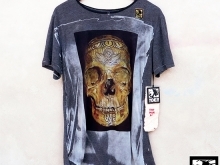 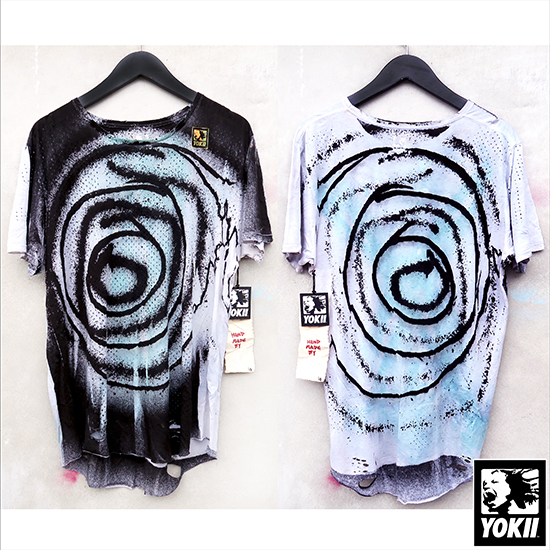 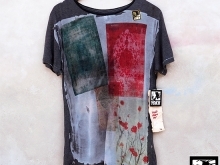 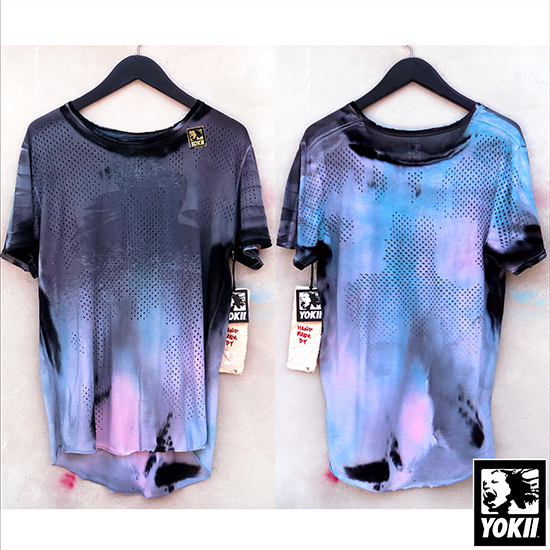 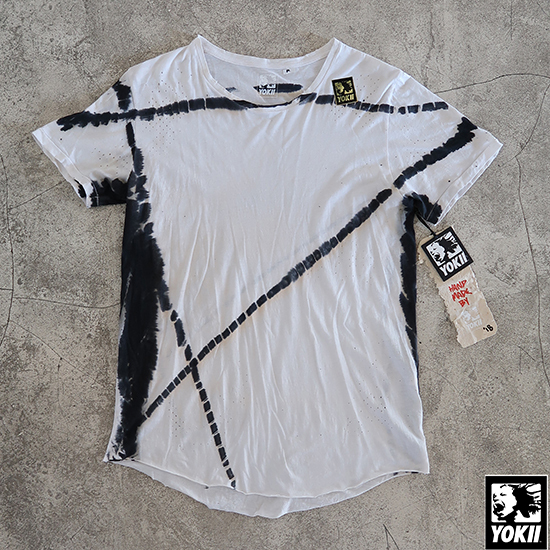 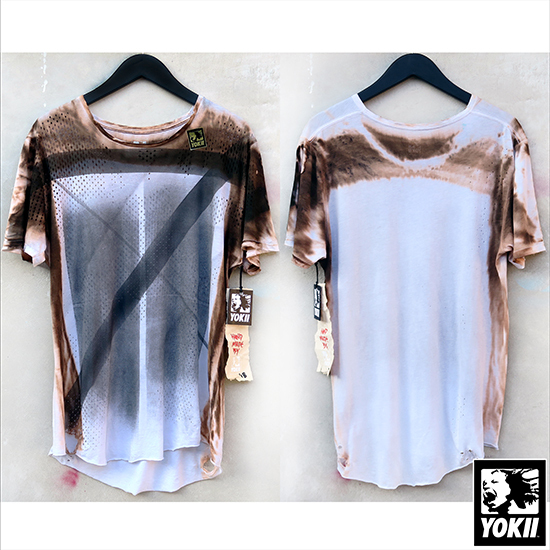 Yokii’s T-shirts are one-off tees hand-made one-by-one by the artist himself. 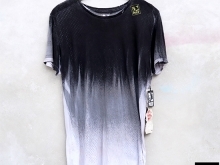 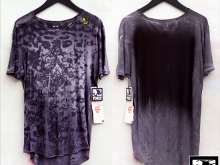 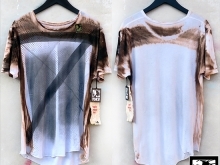 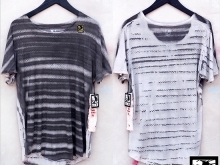 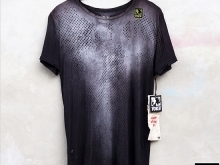 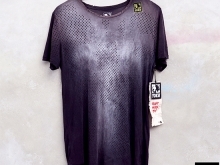 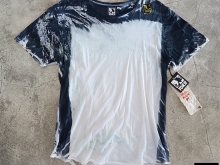 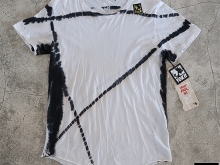 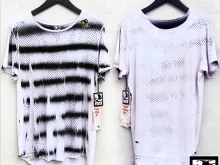 From a blank white tee to the end result, the process goes from colouring (dip dyed or air-brushed), printing, washing, drying, distressing, to as detailed as making the hang tags. 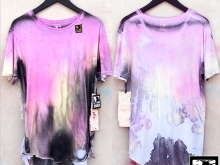 He can spend two to three days working on each t-shirt. 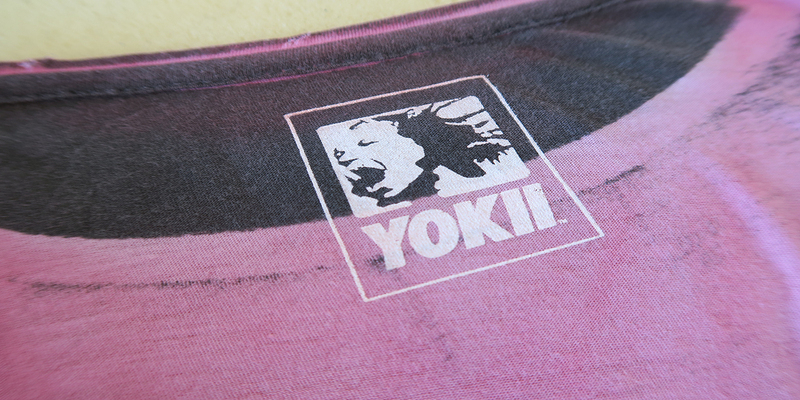 An incredible amount of precision is involved hence the look and quality is of a very high standard, and each piece is one of a kind and has a special story, just like a canvas.